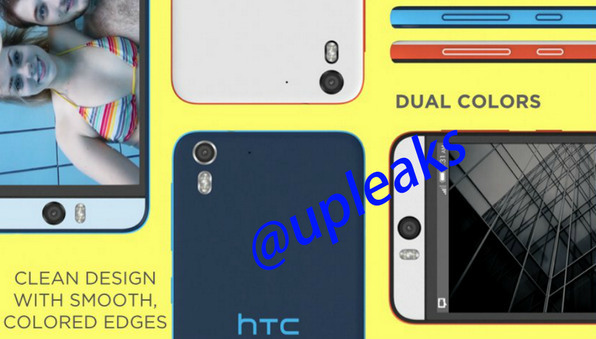 The latest report coming from the rising upleaks spills the beans on an upcoming HTC codenamed Desire Eye. The smartphone is tipped to pack a 5.2" 1080p display and run on the powerful Snapdragon 801 chipset with a quad-core Krait 400 processor at 2.3GHz and 2GB of RAM. The most interesting feature is the camera department of the HTC Desire Eye - a 13MP front snapper for selfies coupled with a dual-LED flash and a 13MP rear camera. This should be quite interesting combo and a tough competitor for the upcoming Oppo N3. HTC is holding a press event on October 8 in New York, where it may announce the rumored HTC One (M8) Eye with 13MP Duo rear camera alongside the expected to go official HTC RECamera. A new Selfie-centric camera app is expected to debut there too, and according to upleaks it will become available on HTC One, One mini, One (M8), One mini 2, One (E8) and One Max with Android L firmware updates. There is no info on the pricing and availability, nor is there on the official announcement. We are not sure if the Desire Eye will debut alongside the One Eye, but we guess we'll know soon enough. Hi, Süper favorit mobil, I'Love This HTC Eye' design and Teknik.